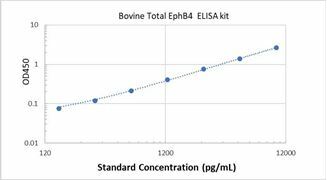 Specificity This assay has high sensitivity and excellent specificity for detection Bovine Total EphB4. No significant cross-reactivity or Bovine Total EphB4 and analogues was observed. 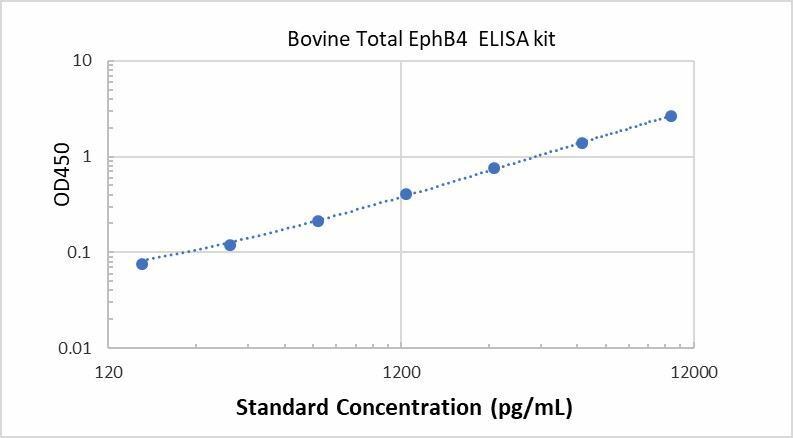 Typical Data ELISA: Bovine Total EphB4 ELISA Kit (Colorimetric) standard curves are provided for demonstration only. A standard curve should be generated for each set of samples assayed.